Whenever former Sgt. Aaron Carew had free time during the first of two deployments to Iraq, he binge-watched DVDs of TV programs. After discovering 24, the critically acclaimed counter-terrorism drama, “I knew I wanted to be a television writer,” said Carew, who had committed to the Army in 2002 as a high school senior. Today, the former logistics specialist who served for seven years is a staff writer for the Fox TV series Lethal Weapon, which premieres in the fall. Former Cpl. Jeff Reyes was a criminal science major when he left college in 2004 to join the Army and “do my part.” Deployed to Ramadi, Iraq, in 2005 as a designated marksman and team leader, he earned a Purple Heart. After separating from the service in 2008, he chose the business side of filmmaking over criminal science. 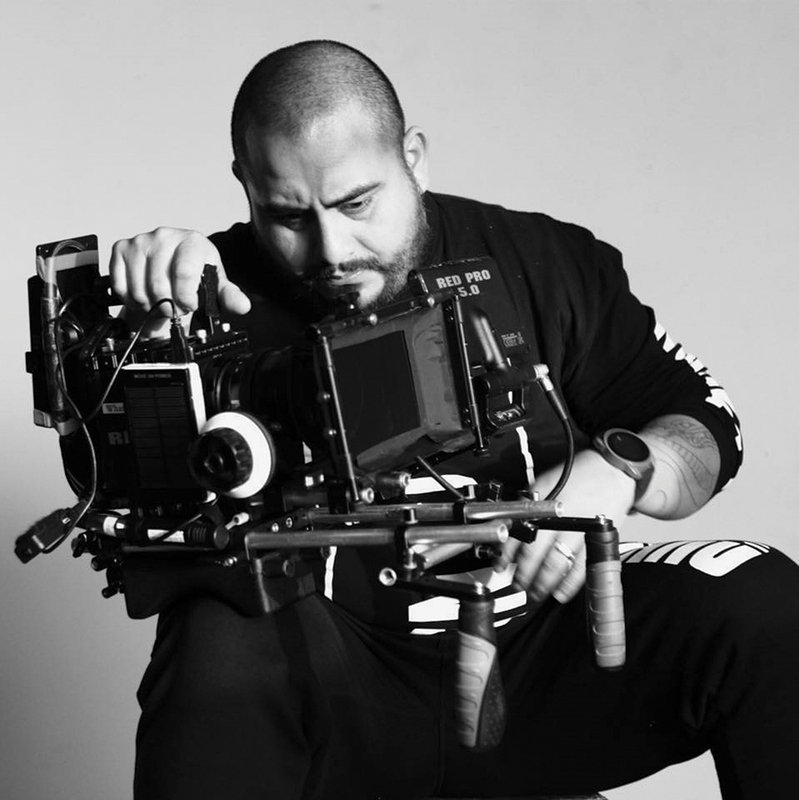 He has since worked in the art department/props for several films and is also a director, producer and videographer with his own production company, Echosworld Entertainment. Retired Col. Lisa Costanza was on active duty with the Army and Army National Guard for 24 years and deployed to Kosovo and then in support of Operation Iraqi Freedom/Operation New Dawn, commanding the 224th Sustainment Brigade. For her second career she tapped into her first love, acting, and has landed roles in the acclaimed TV series Transparent and Her Only Living Son, a feature film by indie director Karyn Kusama. Not every actor will be as successful as Robert Downey Jr., who raked in $80 million in 2015, according to Forbes magazine. And it may also be a stretch for an aspiring director to earn The Hollywood Reporter’s estimate of $250,000 minimum for a major feature film. Still, there’s money to be made in the entertainment industry on both sides of the camera, as many former soldiers have found out firsthand. “This business is rough and tough on beginners and even rougher and tougher on older folks,” said Karen Kraft, a former first lieutenant and adjutant general in the Army Reserve and an award-winning writer, director and producer. Former soldiers seeking to break into show biz can hope to be as lucky as Mark Valley, a 1987 U.S. Military Academy graduate who was serving in Germany when his rugged good looks caught the attention of a Berlin talent agent. Valley, a former first lieutenant whose five years of service included an Operation Desert Storm deployment, went almost directly from the Army to soap opera acting gigs and from there, leading roles in films and TV shows including ABC’s Boston Legal, Fox TV’s Fringe, NBC’s Harry’s Law and Bravo’s Girlfriends’ Guide to Divorce. Carew finished his undergraduate degree after leaving the Army and then earned an MFA from the University of Southern California’s School of Cinematic Arts-Peter Stark Producing Program. He interned with Overbrook Entertainment, a production company co-founded by actor Will Smith, and others before collecting professional credits including assisting director Michael Mann on the 2015 feature film Blackhat. Carew is also teaching online film courses for Hopkinsville Community College, Ky.
As Carew “started to climb the ladder in the entertainment business, I wanted to find fellow veterans” in the industry, he said. He discovered Veterans in Film & Television (VFT), an educational and networking organization for current and former service members. VFT was co-founded in 2012 by Mike Dowling, an actor and former Marine Corps working dog handler, and Army veteran Kyle Hausmann-Stokes. A grandson and nephew of military veterans, Hausmann-Stokes joined the Army after graduating from high school. He served for three years and separated in 2004 to go to film school, but was recalled to active duty in 2006 as part of the Surge. He served about two additional years including a yearlong deployment to Iraq. After separating as a staff sergeant, he returned to the University of Southern California’s film school. About a year after graduating, he met Dowling, who’s also an Iraq War combat vet. “When we determined that there was not an organization that united other vets in this space, we decided to create one,” Hausmann-Stokes said. The mission of VFT is to provide a platform for current and former military members working in the film and television industry to network with each other as well as with industry leaders. Kraft became a founding board member after hearing a presentation about the new group. Jeff Reyes, a former corporal, makes a camera adjustment during the shooting of a music video. Hausmann-Stokes stepped back from VFT in 2015 to concentrate on his directing career. He has directed national TV spots for brands including Dunkin’ Donuts and Audi, and recently was in Lisbon shooting a commercial for Bayer. He also has won three Telly Awards—“like Oscars, for commercials” and other visual content—for veteran-related public service announcements. Membership in VFT, which is free for current and former service members, provides opportunities to connect with mentors such as Tucker Smallwood, a television news director in Baltimore who was drafted into the Army in 1967. After serving in the Vietnam War, Smallwood resigned his first lieutenant commission in 1970 and moved to New York to study acting. After receiving treatment, Smallwood moved to Los Angeles in 1991. He’s had featured roles in Broadway productions and regional theater; and guest spots in TV shows including The X-Files, Seinfeld, Frasier, Curb Your Enthusiasm, Friends, Malcolm in the Middle and My Name is Earl. “When I finally asked for and received help, I pledged to advocate for treatment to other veterans troubled by their service,” Smallwood said. So along with sharing advice about the entertainment industry, he has spoken nationally about the need for counseling for the veteran population. Former Sgt. Aaron Carew confers with an assistant director during production of his short film A Final Gift. Sharp also has written screenplays, including Lone Rider, a 2008 made-for-TV Western starring Lou Diamond Phillips and Stacy Keach; and the 2015 film It Had To Be You. He works as a voice actor and is a consulting producer for projects including a film in development called Wyoming Sky. “Veterans tend to have the kind of skill set that is necessary to succeed in Hollywood, but those skills need honing to specific purposes,” Sharp said. And Sharp, among others, thinks the entertainment industry is a good fit for soldiers. Laura Stassi is Army Magazine’s former Assistant Managing Editor.